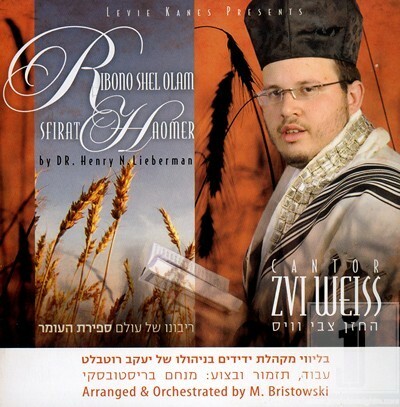 Raanana Symphony Orchestra directed by-Maestro Eli Jaffe who wrote Ani Rishon Ve’ Ani Acharon for this album. Weiss took the place of Cantor Haim Adler the past two years for Rosh Hashana and Yom Kippur at the Kehillat Ahavat Torah in Engelwood,NJ. Presently Zvi appears in Major Synagogues on Shabbatot and delights the public with his original nusach and chazonus. Zvi Weiss will debut his CD at a concert on the 6th of February 2011 at the Young Israel Beth El of Borough Park at 4802-15th Ave Brooklyn NY at 7 p.m. sharp. This event sponsored by Mostly Music who are the exclusive distributors of this CD.